Check back here for new dates! Join our warm and welcoming Temple Beth Sholom family after Shabbat evening services. Meet with old friends and make new friends, enjoy light refreshments, and celebrate the joy of Shabbat together. Children age 2 through grade 2 meet for a Shabbat experience under the supervision of our early childhood department. For details call the school office. Start your Saturday morning with Torah study and a bagel with a schmear of cream cheese. Prior to our Shabbat morning minyan, you will study parashat hashavua, the weekly Torah portion. The rabbis will lead a discussion of ancient commentaries and teachings and reveal the Torah’s modern and relevant lessons. Join us weekly to renew your spirit in our beautiful sanctuary or chapel. Our clergy and members of our congregation help to lead the prayers and read the Torah. This lively service, for pre-school-age children and their young families, combines prayer, music, stories, snacks and much more. (Offered when Temple Beth Sholom Innovative School is in session.) For details contact Director of Congregational Engagement Mark Baranek. Temple Beth Sholom in conjunction with the Fantastic Party Factory offers a fun Friday night Shabbat series designed to integrate young children. Each Saturday morning, jLAB students in grades K-5 and their parents (and other significant grown-ups) gather together in the chapel from 9:30–10:00 am for a lively Shabbat morning t'filah experience. This is a great opportunity to learn the prayers of our liturgy and connect with the words of our prayer service. All those with children in this age group are welcome to join us! Contact Director of SLJ Barb Shimansky for more details. Our b’nei mitzvah services are held at 10:00 am and 4:30 pm. 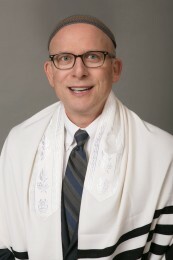 These services occur only when a member of the Temple is celebrating the occasion of becoming bar mitzvah or bat mitzvah. Please see HaKol or the calendar section on the main web page for the current schedule. Note: We are happy to share TBS services with those unable to attend in person through automated recording and livestreaming, available on our website and on our YouTube channel. The camera will be focused on the bimah and areas to the side and front of the Ark. Your presence in those areas indicates your consent to your image appearing on the livestream. Tune in live or watch previously streamed services and programs. In this special Torah portion, which is found during Passover, we read that in spite of Moses' desire to see God face to face, Moses was only able to discern God's back. The rabbis teach us that from this text we learn that a moment of time or an event can only be understood once we are able to view the entire context retrospectively. Question: What in your life do you understand more clearly now that the moment is over? Additional Torah Commentaries can be found on the Reform Judaism website.